Updates on the Penguins, Stars, and Coyotes in today’s NHL rumor mill. PITTSBURGH POST-GAZETTE: Jason Mackey reports Penguins GM Jim Rutherford said his acquisition of center Joseph Blandisi from the Anaheim Ducks wasn’t tied to a possible move of Derick Brassard. He claimed he swapped Derek Grant for Blandisi because of concern he’d lose Grant for nothing via waivers if he attempted to demote him. Pittsburgh Penguins center Derick Brassard continues to pop up in media trade chatter (Photo via NHL Images). SPECTOR’S NOTE: Blandisi has since been sent to the Penguins AHL affiliate. 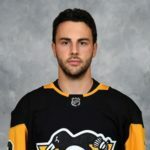 For whatever reason, Brassard hasn’t been a good fit as the Penguins third-line center. It wouldn’t be surprising if he’s shipped out before the trade deadline to make room for a replacement. Rutherford won’t publicly admit if he’s trading him. Nevertheless, there was a recent report claiming the Columbus Blue Jackets had asked about the veteran center. MORE MOVES IN STORE FOR STARS? DALLAS MORNING NEWS: In the wake of the Dallas Stars shipping Devin Shore to Anaheim last week for Andrew Cogliano, Joey Hayden wondered if general manager Jim Nill has more moves up his sleeve before the Feb. 25 trade deadline. He noted ESPN.com’s Emily Kaplan and Greg Wyshynski recently suggested Detroit Red Wings forward Gustav Nyquist or New York Rangers winger Mats Zuccarello as possible rentals to bolster the Stars’ offense. Both possess salary-cap hits between $4.5 to $4.75 million, meaning the Stars would have to free up some dollars to take on one of them. “Should the Stars want to add another piece before next month’s trade deadline, they’ll likely have to shut down Marc Methot (knee), Martin Hanzal (back) or Stephen Johns (post-traumatic headaches) for the season,” said Hayden. Doing so would free up the necessary cap space. SPECTOR’S NOTE: Hayden observes Methot’s cap hit is $4.9 million, Hanzal’s is $4.75 million and Johns is $2.35 million. Cap Friendly indicates the Stars’ current cap space is $2.53 million and $4.8 million at the deadline. Putting one of those guys on LTIR would provide additional breathing room, especially if they don’t move a salaried player to acquire a scorer. The asking price for Nyquist could be a first-rounder but the Wings could part with him for a second-rounder. Zuccarello’s recent improvement could also push up his trade value into the second-round pick range. Goligoski and Hjalmarsson are both signed beyond this season and could attract interest. Goligoski, however, has a full no-movement and Hjalmarsson a 10-team trade list. Weal, recently acquired from Philadelphia, could have value if he puts up points if he continues skating on the Coyotes’ first line. Oesterle could interest teams seeking an affordable puck-moving defenseman. SPECTOR’S NOTE: Panik tallied 22 goals in 2016-17 with the Chicago Blackhawks. With 10 goals in 45 games, he could hit the 20-goal mark this season. That could make him a cost-effective option for clubs that miss out on landing some of the biggest fish leading up to the trade deadline. I doubt Goligoski and Hjalmarsson, who signed a two-year contract extension last summer, are going anywhere. With leafs in a funk, Dubas should beat the deadline and give Fletcher an offer on the package of Gudas and Simmonds. It sounds like Kapanen is off the table. How about Conner Brown, one of their young Swedish Defensemen prospects and a 1st rounder. Absolutely. That is what the leafs need. Too easy for the opponents to penetrate our blueline. Gudas will them second thoughts as he will make them pay. Gudas is not an everyday player on 28 teams in the league. He only dresses for the Flyers because he plays for the Flyers and their fan base is stuck in the mid 70s. A smart GM would be 10 days to 2 weeks earlier than the trade deadline on a bigger type deal. Does Dubas fit the description ? Brassard has been a play off performer . Isn’t that what you want him for ? I know it’s not in your headlines but what about the oilers? I know they are in a do we buy or do we sell scenario, but if we sell who do you think goes? Unfortunately, we need to reset once again, clear some cap and bring in young blood. Also will uncle Pete be fired before the deadline? Twin, who knows what the Oil will do. It has been debated in this city over countless beers and countless hours on sports radio. Up against the cap, with contracts that will be difficult (sweetened) to move, to the impossible (Lucic) to move. Still lacking multiple pieces to contend up front, need more on the blue line, what will they do in goal after this year? Finally have some decent prospects in the system but no game changers. I think they need to fire PC. Year 4 of McDavid and how are they looking? They need a fresh set of eyes and some patience as knee jerk, desperate moves are not the answer and they are in a position of weakness and no flexibility. More pain ahead for Oiler fan, but it would be nice to have a plan. Wish I had the answer, but I don’t think anybody does. Wait for the bad contracts to expire and keep adding assets through the draft I guess. How bout a Backes for Lucic swap?? Habsfan, as a Bruins fan, no thank you! I’ve actually considered this trade before, and I do have some fond memories of Lucic in black and gold. The main issue I have with this is that Backes’ contract is up in 2021 while Lucic is signed through 2023. No way am I trading a short(ish) bad contract for a long bad contract. The Oil aren’t helped by the fact that guys that leave seem to find themselves, or at least improve, once they are somewhere else. I’m sure this doesn’t happen with every player but a few (Hall, Dubnyk, Shultz, Eberle) have experienced a definite uptick in a different place. Not sure if that’s a different system, different linemates or what but it definitely makes PC look bad. Some of there assets won’t fetch as much because they are overpaid. I think Dreisetle, Lucic, RNH, and Russell are all getting paid a bit more than they should be. Makes it hard to compete in a cap system when you squeeze yourself. Lucics contract is an absolute disaster. RNH has 46 points in 49 games. He’s on pace for 70-80 points? 6 per is definitely in line for those numbers today. Draisatl has 59 points in 49 games. He should come close to the 100 mark. 8.5 again is in line for those numbers. They need a way to get Draisatl on the 2nd line, RNH on the 3rd line and find some scoring help on all 3 lines. How they do that with no cap space is beyond me? Spooner on waivers today? Yikes! Eberle trade officially equals nothing! That is an absolute disaster…unbelievable. Can’t say it equals nothing though. If Spooner gets claimed they do get paid a waiver fee of $40,000 or something…more than enough to buy Chiarelli a plane ticket out of town. @Nyr4life: Agree that RNH and Draisaitl are not overpaid. Imo they should play RNH with McD or Draisatil and pursue a 3rd line center (easier said than done). I wouldn’t resign Talbot. Koskinen is at least as good. I just had a look at their roster on capfriendly….. poor Oilers fans….. They should tank for five years and get a bunch of top picks and then they will win mad cups. Oh wait they already tried that. Unfortunately might have to trade Mcdavid. Edmonton is a lost cause for this year. Is Chiarelli so disliked throughout the league that no one team will trade with him? Smitty, I dare say they would lineup to deal with him. It seems to benefit many who have. I think for Oiler fans , that would be the best case scenario. Unfortunately, I doubt it. Maybe they fire him before he can lose yet another trade? If Dallas wanted Nyquist or Zuccarello, they would only be charged with roughly 1/2 of the actual cap hits at this point… no? I’d like to point out that my Isles now sit second in the Eastern conference and lead the Metro. There were more than a few on this board who had written them off and suggested they could look forward to drafting first this coming summer. There are a lot of NHL fans that would like to have your coach making all those “wrong” moves for their team. Yep, pretty amazing that they’re ahead of Tavares’ Leafs after 48 games! I’m pretty sure Barry Trotz is a genius. Seriously right? Going from last to first in goals allowed suggests the coaching change may be helping a wee bit. Trotz’s goalie guru, the guy that turned Braden Holtby into a confident goalie, has done just the same for both Lehner and Greiss. Still saying a Jarry for Ferland deal makes a lot of sense. Moving Brassard would be easy, finding a fit at 3C is the hard part. Trading Ferland for Jarry would surprise me considering Carolina has stated Alex Nedeljkovic is the future goalie. Ferland being traded for a center would be more likely. Carolina has stated they are not interested in trading for players without term on their contract so trading for Brassard probably wouldn’t happen. i agree ferland for young goalie Tristan jarry..both Carolina goalies are inconsistent and both UFAS..and Minnesota covets brassard so brassard straight swap for charlie coyle..salaries almost identical $3.2 $3.0 we get a third line center Minnesota gets a soid two way center both having so so seasons. Mackey also said the Canes like Jarry. Still saying a Jarry for Ferland deal is very possible. Spooner and Rattie on waivers for Oilers. Another bad trade by PC getting Spooner. Can’t see him lasting to the draft if this continues and the Oilers miss the playoffs. Spooner played fine in Boston what happened since he now can’t play for the Oil what’s changed in his game? He struggled in NY too Obe. Strome is at least a useful player if he isn’t scoring and can keep even most nights as a 3C. Spooner can’t get on the ice because his coaches don’t trust him to play in his own end or not lose 70% of his puck battles. Tampa doesn’t need much, if anything, but Ferland might be a good rental that would fit in their cap space. Maroon would be a cheap addition. He doesn’t bring speed, but does add a physical big body. Ferland has enough speed and can skate well enough to keep up with Tampas’s pace. Would Bozak be of interest for the Canes or Pitts or Columbus or anyone else looking to add a 2nd/3rd line center. A bit of a bloated contract for a couple more years, but probably just a draft pick/prospect. Has anyone seen or heard about Adam McQuaid this season? If I recall correctly he was signed by or traded to the Rangers, but I am not sure if he has played in the NHL this season. Is he pretty much a goner from the NHL or could he bring that grit to Toronto for a far lower price? Mcquaid is often injured, once already this season, but 2 of him Kronwall or JBow are what the Leafs really need. I hope the Bruins get him back for a late round pick. I love his game. Always have. Honest, hard worker. Sure you’re a bruins fan, you know what the leafs need do you? Kronwall might work in T.O. Familiar coach and probably does move his residence from Detroit . Not that far . He will want to retire a Wing but he also might want to play in the spring one more time. That’s who I would look to add.